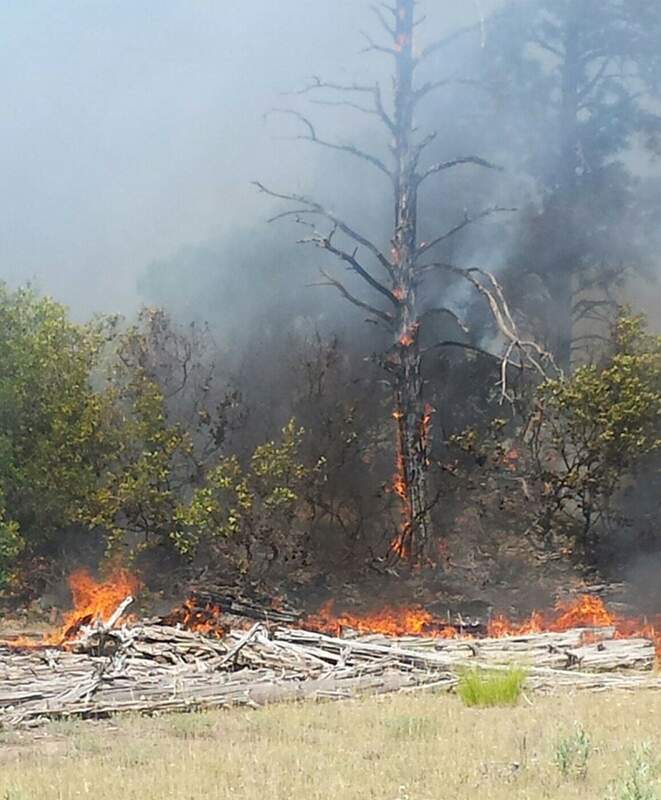 A wildfire north of Durango that has burned 60 acres near Electra Lake, but it isn’t expected to grow in size, said Durango Fire Protection District Fire Marshal Karola Hanks on Sunday. A wildfire north of Durango that has burned 60 acres near Electra Lake isn’t expected to grow in size, Durango Fire Protection District Fire Marshal Karola Hanks said Sunday. Around 11:30 a.m. Friday, a wildfire was reported in the 42000 block of U.S. Highway 550, on the east side of the highway in a grassy field. As of Saturday, the fire had grown to about 60 acres. Hanks said the fire was in a tough spot for ground crews to battle, as it is located in a field surrounded by hills. The land is a mix of private, state and federal ownership. And, because the traditional fire season is over, no helicopters or air support available are available to help. Hanks said a few helicopters and air support firefighters not in the vicinity could be called in a worst-case scenario, but this particular fire has not caused the need for that last-ditch option. Instead, local efforts to contain the fire have been successful. Hanks said crews will continue to check the area throughout the week, but she said the fire is expected to die out of its own accord. The cause of the fire is still unknown. Hanks said it’s likely the cause of the fire will be released Monday. Permitted open burns are still suspended until Monday morning. Hanks urged caution as conditions will continue to be extremely dry throughout the week in Southwest Colorado.